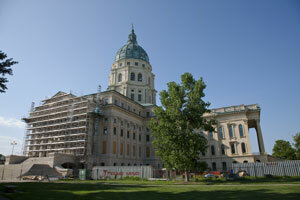 Topeka is the capital of the state of Kansas, home to nearly 130,000 residents, and is known as “T-Town”. Being the artistic and cultural center of Kansas, Topeka has numerous cultural venues such as the Combat Air Museum and the Kansas Museum of History. These attractions can be utilized with out-of-home advertisements. Target your audience with digital signage advertising or indoor billboards in the Kansas Expocentre. The major highways that service Topeka also provide the possibility of high traffic billboards. Billboards on I-70 or I-470 would generate exposure of your business.